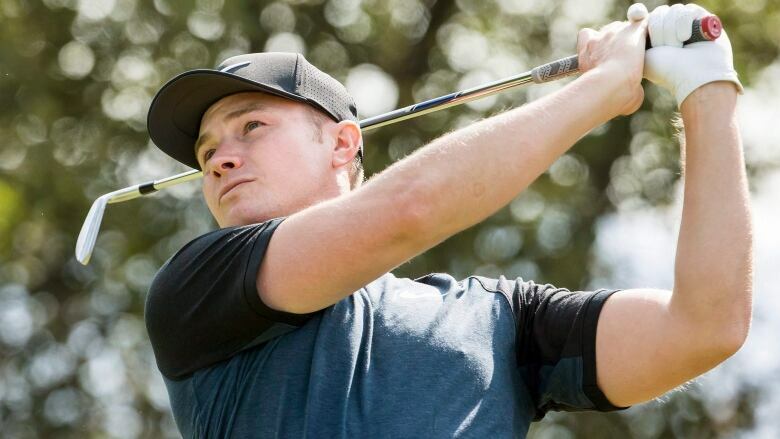 English golfer Oliver Fisher has shot the first round of 59 in the 46-year history of the European Tour. Fisher made an eagle and 10 birdies on a par-71 course in the second round of the Portugal Masters. There have been 19 rounds of 60 on the European Tour. After 46 years, the European Tour finally has its first round of 59. English golfer Oliver Fisher was sprayed with champagne beside the 18th green after two-putting for par from 40 feet to complete a 12-under round containing an eagle and 10 birdies on a par-71 course at the Portugal Masters on Friday. It was the first sub-60 round on the European Tour. There have officially been 10 on the U.S. PGA Tour, with one of them a 58 by Jim Furyk in 2016 at the Travelers Championship. "I obviously knew I was in with a shout of shooting a low one when I made a good start," said Fisher, who reached the turn in 28 after five birdies and an eagle at the par-5 fifth hole at Dom Pedro Victoria Golf Course in Vilamoura. "It was important to keep reminding myself that I was out there to have some fun, enjoy it, and not get too tentative. When you've got a good round going, it's easy to do that," he added after ending the day in a three-way tie for the lead on 12-under 130 alongside compatriot Eddie Pepperell (66) and Lucas Herbert of Australia (67). Fisher birdied Nos. 10-12, then No. 15, before saving par with a 20-foot putt at the 16th. He tapped in for birdie from three feet at No. 17 and held his nerve down the last, hitting his tee shot down the middle of the fairway and safely finding the green with his approach. "Very different to a couple of years ago on this green," Fisher said beside No. 18, "when I was fighting to keep my card. I had that in the back of my mind, thinking, 'You know what, things could be worse.' It was fun, I tried to enjoy it." There have been 19 rounds of 60 on the European Tour. Eighteen players have done so, with Darren Clarke achieving it twice. Fisher's only tour title came in 2011 at the Czech Open. "A special moment for such a special guy," tweeted Thomas Bjorn, Europe's Ryder Cup captain. "Couldn't be prouder of you." Sergio Garcia, looking to get back into form ahead of next week's Ryder Cup, was back on 6-under 136 after a 70.